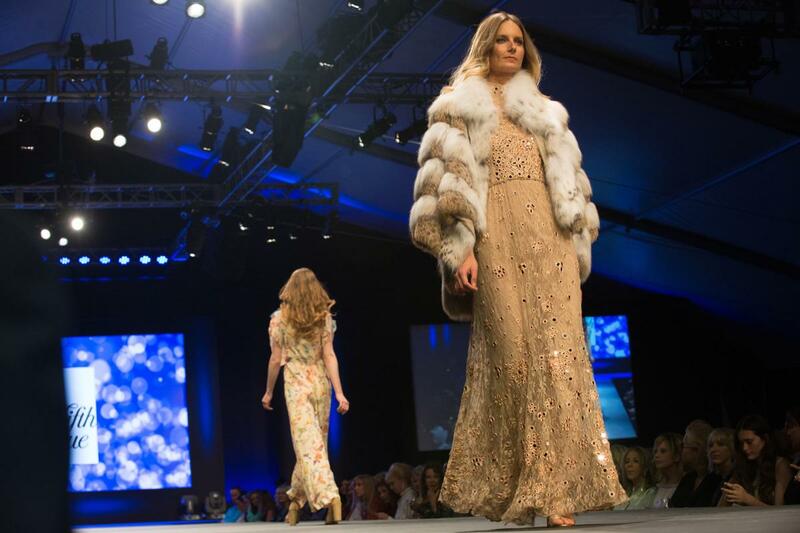 Celebrating its 13th year of glamorous runway shows, chic looks and stylish events, Fashion Week El Paseo returns March 17–24, 2018 at The Gardens on El Paseo in Palm Desert. 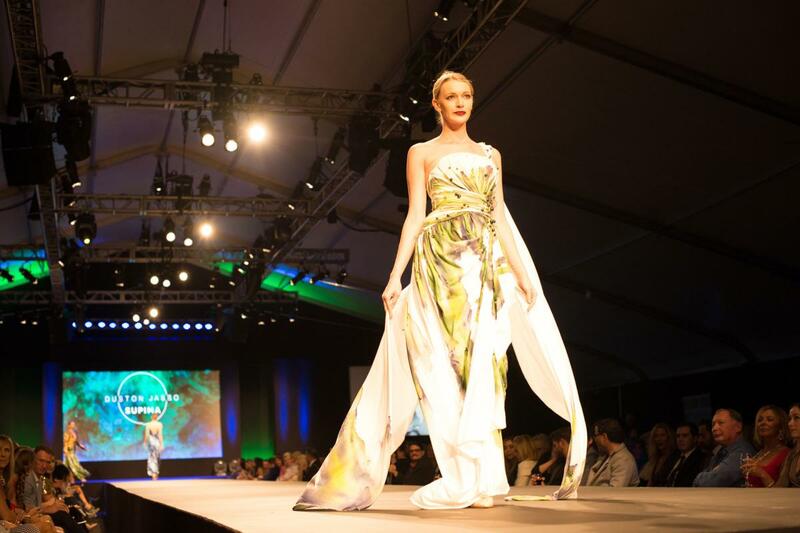 Known as the largest consumer fashion show on the West Coast, this highly anticipated annual event is bringing the best in latest trends, top designers, cocktail receptions, trunk shows and shopping experiences to Greater Palm Springs. Here’s what you need to know before attending the most fashionable event of the season. Fashion Week El Paseo is an eight-day celebration of all things fashion, showcasing both renowned and emerging designers from all over the world. The event is open to the general public and invites guests of all ages to enjoy haute couture from a total of eight runway showings. The weeklong affair runs from Saturday, March 17 to Saturday, March 24, 2018, with doors to the reception opening at 6:30 p.m. on most nights. The fun happens at the Fashion Week Tents, located at The Gardens on El Paseo on the West side upper level parking deck of Saks Fifth Avenue. “Fashion Week El Paseo is different from other fashion shows in the sense that designers and brands are invited to come out and show their latest collections, while also making those collections available for consumers to view and purchase right away,” shared Paulina Larson, Marketing Director at Palm Springs Life. According to Larson, Fashion Week is typically only for the trade and is invitation only for buyers to see the latest collection from designers. However, what makes Fashion Week El Paseo unique is its openness to consumers, making it a premier fashion experience for all in attendance. Start off Fashion Week El Paseo with daily cocktail receptions, which precede the nightly runway shows. Attending the cocktail receptions is a great way to mingle with other guests, enjoy some light entertainment and, of course, show off your personal style! After the reception, enjoy the best of in men’s and women’s latest styles, designs and trends, live from the catwalk! The following day, the festivities continue with trunk shows. “Most of the shows have trunk shows the next day where consumers are able to try the fashion on, get personal consultations with the designer themselves and shop their collection. Sometime they’ll even bring additional things from other collections,” explained Larson. Event Tip: If you cannot make it to show but would still like to experience the excitement and upscale looks Fashion Week brings, attend trunk shows! They are a great way to see runway apparel, shop trends and meet the designers. Plus, admission is free and open to the public. Get ready to experience a star-studded line-up of top designers at Fashion Week El Paseo 2018! This year, Opening Night features the gorgeous collections of four diverse California designers all in one show. Appropriately titled California Dreamin’, the show features the stylings of Trina Turk, Mr. Turk, Michael Costello and Ali Rahimi for Mon Atelie. On Sunday, the ever-popular Le Chien presents Le Dogue en Vogue takes the stage at Fashion Week, welcoming dog lovers of all ages and all well-behaved dogs on leash. The show benefits the Humane Society of the Desert and includes a live auction. Scenes From El Paseo take over the runway, featuring looks from boutique shops found on El Paseo and their most fashionable collections for Spring 2018. Stores participating in Monday’s show include BB.one, Eileen Fisher, El Paseo Jewelers, Mares Menswear, Nina McLemore, Out of Your Closet, Tommy Bahama, Johnny Was and Uno de 50. Join Michael Costello and his friends from Project Runway on Tuesday morning for an up-close and personal Meet & Greet. This intimate round-table discussion features a Q&A with Palm Springs Life’s Fashion Editor, Susan Stein, as well as an opportunity for attendees to ask questions and learn more about the designers. The event is open to the general public and offers free admission. Later that night, attend the show starring Michael Costello and his friends from Project Runway! Snag a seat for this must-see event and view the latest collections from Costello and his fellow Project Runway alums, created exclusively for this year’s Fashion Week El Paseo. A fun, colorful and sophisticated night awaits you at the Alice + Olivia Fashion Show. Find cool prints and ultra-flattering fits at this edgy show, celebrating the love of vintage and all things feminine. Get ready to be impressed during the FIDM Debut Collections program. The show will debut the creative couture collections of nine top alumni from the Fashion Institute of Design and Merchandising in Los Angeles. Excitement is expected to fill the room as crowds witness the future of fashion on the runway. Preview looks from Carolina Herrera’s pre-fall and fall 2018 collections by attending Saks Fifth Avenue presents Carolina Herrera Collections. The event will feature impeccably crafted designs that reflect Herrera’s unquestionable style, elegance and refined taste. Closing out this year’s Fashion Week is designer Ralph Rucci, who will be showing modern couture that pays tribute to the lines of the female body. Similar to the shows of designers like Dior and Balenciaga, Rucci will also provide a presentation and commentary about his work and art during the program. New to the event this year is Eve’s Garden Exhibition, happening from March 17–March 20, 2018. The art installation is open to the public at no charge on March 18 from 11 a.m. to 2 p.m., and from March 19–20, 11 a.m. to 4 p.m. Other dates and times are reserved for ticketed guests only. The work merges art and fashion, featuring collaborative pieces by artists who have created gowns from recycled objects and nontraditional materials. Together, these gowns represent a woman’s spirit by capturing her strength, vulnerability, mystery and deep desire. Another great aspect of Fashion Week El Paseo is the philanthropy that comes with it. Most of the fashion shows are tied into a charity, benefiting several local organizations in the Coachella Valley. Benefiting charities include the Fashion Scholarship Fund, The GirlFriend Factor, the Junior League of Palm Springs Desert Communities, Palm Valley School and the Humane Society of the Desert. As a popular event in Greater Palm Springs, Fashion Week El Paseo is a family-friendly celebration that invites all to attend. Guests may purchase tickets online and choose between reserved and general seating, with prices ranging per night. VIP seating and all-access passes are also available for purchase through the event website. Student tickets are available onsite from the Fashion Week ticket booth. Each student ticket is $35 and requires a valid student ID at the time of purchase. For more unforgettable fashion and shopping in the oasis, read the ultimate guide for vintage shopping in Greater Palm Springs.